Burt’s Bees has rocketed from a small company in Maine, USA to everyone’s pocket chap-stick. They pulled-off this marketing marverick by returning to natural ingredients and of course- beeswax to fix chapped lips. Their product works better than all the other cheap-synthetic brands. 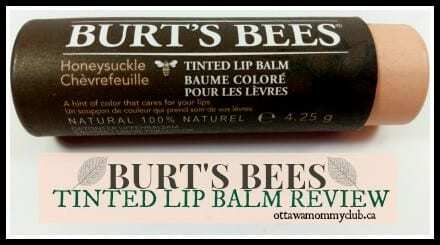 For this reason, this lip balm is one you tell your friends about and then buy 2 more… This brings me to their latest concoction and this Burt’s Bees Tinted Lip Balm review. 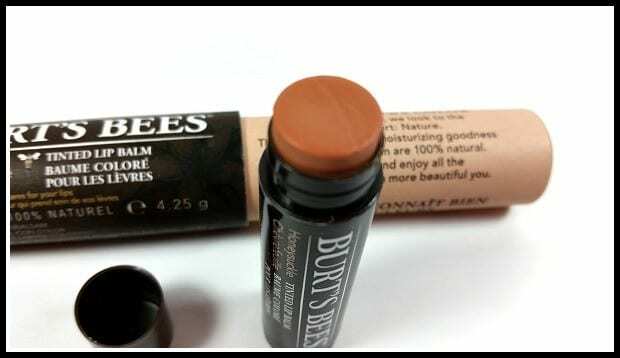 Burt’s Bees Tinted Lip Balm is the perfect combination. The tube itself looks like and rolls-up like any ol’ lip-chap; the lip balm has no smell either. The shade in this review is a deep pink shade (but you can choose from 8 different shades from all ranges- lighter to darker…) The finish effect is very subtle but lovely. No to be mistaken, this product goes on light- really light. It’s tinted using 100% natural ingredients because nature knows color. Looking at the product can be fooling- it looks like it might go on darker but it definitely doesn’t. You need to do the triple lip swipe over your lips to get in on good. It leaves behind a perfect hint of pink plus gives your lips all the same benefits you’d get from regular Burt’s Bees Lip Balm. When you’re looking for a lip treatment minus a “lipstick” factor- this is a great lip tint option. Products with a “leaping bunny” symbolize that the company will not or does not, commission, conduct, or are party to any form of animal testing. From the packaging, to the product- it’s pretty. It’s a “step-up” Burt’s Bees lip-gloss that gives your lips a little more than a beeswax seal of protection. No deep dark effect, no sparkle, just a pure gloss hint of tint that also helps with chapped lips. Made in the USA, no animal testing, and meeting cosmetic all-natural standards are reasons this company continues to gain steam and barrel over cheaper-synthetic competition brands. Burt’s Bees have ninja sharp skills when it comes to the next best lip-balm blend but most notably they’re leaders in bringing nature back to beauty. I'm a blogger with a passion for replacing toxic ingredients laying around your house with high-quality, healthy equivalents. I want to help make organic living, easier and more accessible and demystify the fact it's too expensive to consider the alternatives. 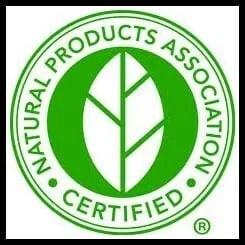 I have a passion for aromatherapy and for making my own lotions & potions. Sharing my recipes with the world is my goal. Blogging has definitely given me the voice & platform I need to get this done. Thank you loyal blog readers, you make it possible for all! I like the sound of this lip balm. I use lip balm quite a lot as my lips tend to dry out quickly and adding a dash of colour wouldn’t be too bad eh? I love this product! It works so well and the colours are really nice. I have yet to purchase one of these! I do like that they give you a bit of colour! I haven’t tried the tinted one yet but definitely want to. This looks so nice and subtle! This is a great product for people who like lipstick. Thanks for th information. I’ve recently tried this lip balm and I really liked it especially the light tint to my my lips. I love Burts Bees. Will definitely try the tinted!